Beautiful War Music Video–Finally Released! Today the Kings of Leon music video I was an extra in last month was released today. I was really excited to watch it and it did not disappoint. Also, I’m pretty excited that I actually showed up on camera! As I mentioned in my “The Day I Was An Extra” post, I was a rodeo spectator. I appear in the video towards the end. Look for me–I’m wearing sunglasses and a brown jacket and I’m on the left side of the screen. Were you or someone you know an extra that day? What was your favorite memory from the video shoot? Comment on what you think of the video! Yay or nay? A week ago today (last Sunday) I spent the entire day at a bar. No, no, not because of that…. I was hired to be an extra in an music video for the song “Beautiful War” by Kings of Leon. And even though it was a really long day, if I could go back and do it again, I definitely would. When I received the email notifying me that I was chosen to be in the video, I was estatic beyond words. The email also gave me information about bringing extra clothes so the wardrobe department could choose what we would wear, but call time and exact location were still unknown. They did know it was going to be filmed in Stillwater, OK though. The day before I was to be on set I called the local casting agency’s hotline number to receive my call time and location. Call time was 9:00am…which I wasn’t exactly happy about at first because I knew I had to get ready and still have about an hour drive ahead of me. The location ended up being this local bar/dance hall that is apparently really popular with the locals in Stillwater. When I arrived, there were already quite a few people there. We were required to fill out a release form and then have our picture taken. And here is where the fun part begins…. Just kidding. Not really. Me and all the other extras sat and waited. And waited. And waited. I got to the location a little bit before 9:00am and sat in the room we all were held in until about 1:30pm. I had already known that I would be sitting for a while, so I had brought my iPod and a book with me so I wouldn’t be bored. But I ended up chatting with the other people that were sitting at the table with me. It was interesting hearing about their other experiences as extras in various other local films, TV shows, commercials, etc. I was cast as a “Prison Rodeo Spectator” for the video. The other extras cast were inmates, prison guards, and a few other people to appear as rodeo clowns. The back area of the bar was transformed into a makeshift prison with a rodeo. There were also real bulls. The inmates and prison guards had already been called outside to film a few scenes before me and all the other people cast as spectators. When we did get to go out, we filmed one scene where a few girls (including me) were to walk in front of the inmates while they whistle at us. So, it’ll be interesting to see if that scene makes it into the video. After filming that one scene, I and all the other spectators stood on the stands and they filmed a few scenes of all of us cheering and clapping. I think that day was the most clapping and cheering I have ever done in my entire life. Haha. One of the many highlights of the day was getting to see the actor Garrett Hedlund. He wasn’t in his costume yet, but he was hanging around the set for a few minutes before he was to start filming his scenes. Another scene that was filmed was the actress that plays the wife of Garrett Hedlund in the video is in the stands with all the spectators (I chose a good place to stand because she was in front of me, kind of caddy-corner to me) and Garrett’s stunt double filmed a scene where she reaches for the fence (there was a tall chain link fence separating the spectators from the area where the rodeo took place) while one of the bulls runs by in the background. We were out there for about an hour or hour and a half till they called for a lunch break. After the lunch break, we were all outside filming from about 3:00pm till 6:30pm. The second half of filming was when I got to see Garrett Hedlund film his scenes. They did quite a few takes of him and the actress playing his wife reaching for each other through the fence. I guess they filmed it again because they needed to get shots of Garrett’s face since the first time they filmed it was with the stunt double. Another scene they filmed was of Garrett on top of a mechanical bull. Obviously it was a close up shot of his face so when people watch the video it will look like he is actually on top of a bull. Also, I got to see Caleb Followill (lead singer for Kings of Leon). He wasn’t a part of the filming, but I saw him hanging back behind the cameras with some of the crew members. We weren’t necessarily filming non-stop. There were moments when they would film a scene with Garrett or film the inmates, so there were moments where I and all the other spectators were just standing/sitting around. But, it was kind of fun. I got to know a few people I was standing next to. It kind of felt like this small little community of people that are a part of something really cool that nobody else is. And since I’m such a FILM JUNKIE, I found it very interesting watching the crew setting up all the cameras/shots and watching the director and assistant director discuss what kind of shots they wanted to do. Then it was a wrap! All of the extras stood in a somewhat long line to retrieve our money (sometimes extras don’t get paid, but for this production we were paid a good sum of money–in cash). It was such a good day and I knew that that wasn’t going to be my first and last time being an extra in something; it would be my first of many. I knew I was going to submit myself to be an extra for other productions whenever they come along. And speaking of which, I have submitted to be an extra in a movie that is being filmed here in Oklahoma. So, hopefully that ends up working out in my favor! 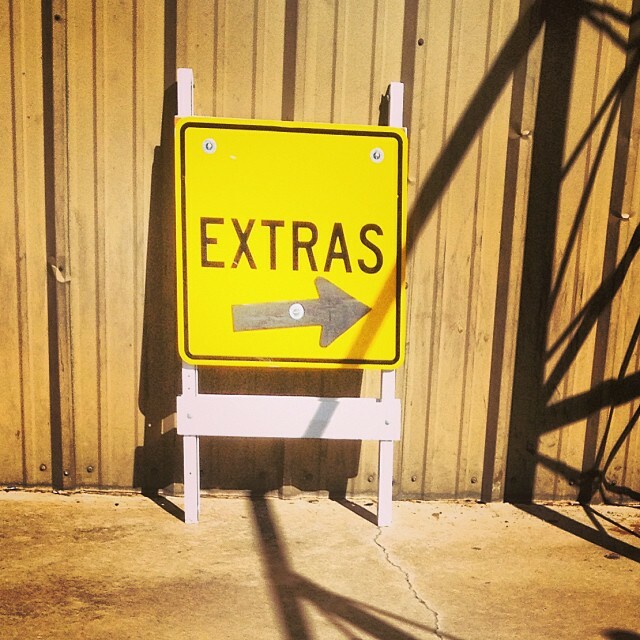 If you ever get the opportunity to be an extra in something–do it! It is a very fun experience, you can possibly get some extra money, meet some new people, and will make for a great story to tell people. You don’t have to an actor (or aspiring to be one), I’m not an actor, nor do I plan on being one. There were plenty of people there that have normal jobs and have families and choose to be an extra in various productions just for the fun of it, kind of like a hobby. I was kind of nervous about it at first because I had never done anything like that before and I knew I wasn’t going to know anybody there, but my excitement outweighed the nervousness and I really hope I get to appear as an extra in something else again! I really look forward to the video’s release. Unfortunately I don’t know when that will be, but hopefully sometime soon. I not only look forward to the video to see if I am visible at all in the video (there were quite a bit of times where the camera was facing in my general direction), but to also see how the whole thing gets pieced together. When it is released I will post it on here. This was a sign outside of the bar directing the extras. This was the only picture I was able to take that day. My phone had died, so the entire time I was outside filming I didn’t even have my phone with me. Plus, they told us we weren’t allowed to take any pictures anyways. 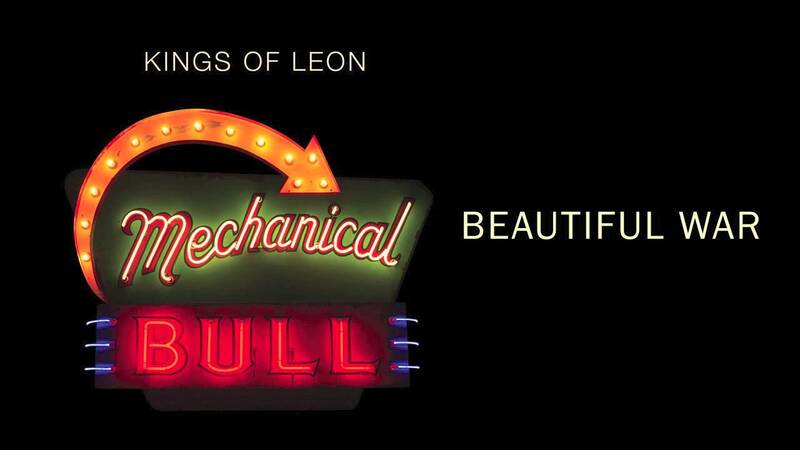 I get to be a background performer (or “extra”) in the music video for the song Beautiful War off of Kings of Leon’s new album. Now, this might not have anything to do with movies or a TV show (this website is called Film Junkie and not Music Junkie), but as I’m sure you can imagine, I’m really excited about this opportunity. And if you think about it, music videos are kind of like mini-movies. Filming is taking place in Stillwater, Oklahoma. I’m scheduled to be on set tomorrow and depending on how everything goes tomorrow, I would like to write a post about my experience on the set of a music video shoot. Also, in the information I was provided, this music video will feature actor Garrett Hedlund. 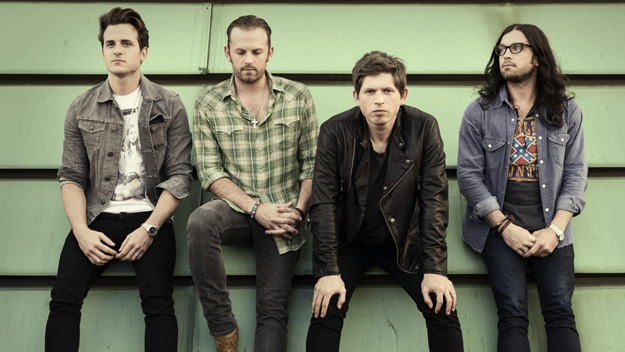 In the meantime, if you haven’t ever listened to any of Kings of Leon’s songs then check them out! The song that I’m going to be in the music video for is a good song, too.